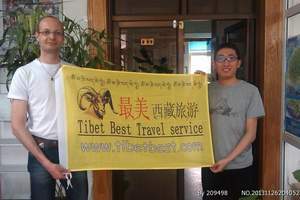 抵达拉萨Arrival Lhasa, Airport/Train Station to Hotel Transfer, Acclimatize the high altitude. 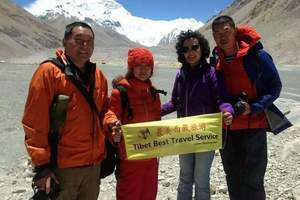 拉萨至日喀则The Yamtso Tso Lake, The Pelkor Monastery, the Karola Glacier, Far view of the Gyantse Fortress. 绒布寺Far View of Mountain Himalaya, The Rongpuk Monastery. 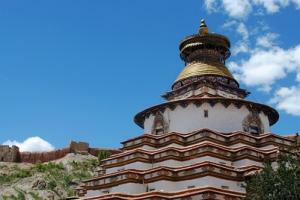 离开拉萨Leave Lhasa to your next destination, Tibet tour ends. 2. Entrance fees of all tourist sites listed in the itinerary. 8. Arrangements include planning, handling, operational and communication charges. 9. Welcome Tibetan Style Dinner in local restaurant. 12. Necessary oxygen provide at Mt. Everest Base Camp. 1. 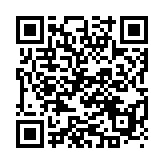 Tips to tour guide and driver, you are suggested to tip them 7 USD/day in total.